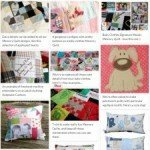 We get lots of questions from our customers about postage, particularly relating to memory quilts, memorial quilts and keepsake cushions. 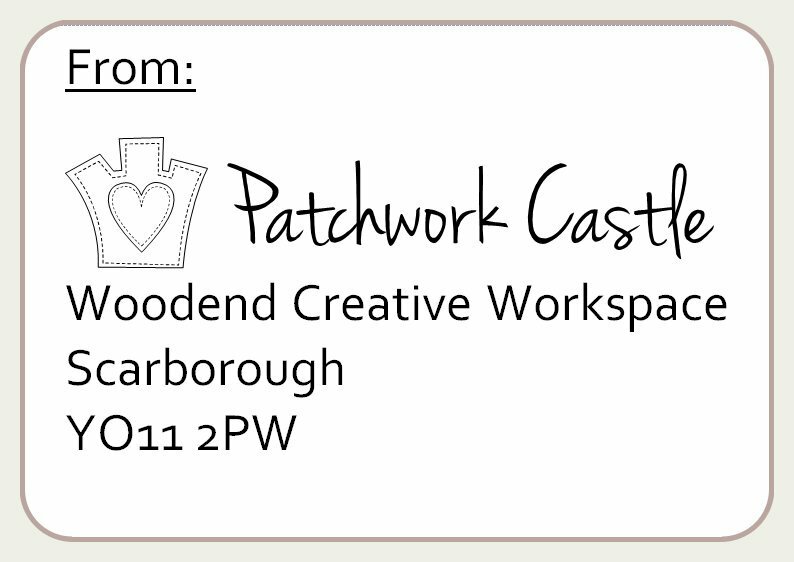 It can understandably be very nerve wracking sending such precious items through the post.I thought it might be helpful to sum up how and why we do things at Patchwork Castle, and to give some recommendations about packaging your items. The first thing to say, is that I totally get the difficulty of trusting what are essentially irreplaceable items to any postal service. We have had a few customers who have decided to make the trip to visit us rather than post the items for their memory quilt or keepsake cushion. This is absolutely fine, and it is really great to meet customers face to face, especially if you are ordering something bespoke and would like to talk through what designs/items would suit your clothes best. We are based in Scarborough and have facilities to meet you at Woodend Creative Workspace. Sometimes the fuel costs are more economical than the cost of posting clothes, particularly if you have quite a lot to send. If you prefer to use a postal service then I definitely recommend using a tracked service, just in case. The reception at Woodend is open during office hours. Staff there will sign for parcels and keep everything safe until I collect them. I usually pop in several times a week, and as soon as I have your parcel I will email you to confirm it’s all arrived safely. Please do pack your clothes carefully – I have had a couple of burst boxes arrive – luckily nothing had escaped! I’d recommend wrapping your clothes in plastic mailing bags, or plastic bags within a box and ensuring it’s secured well. 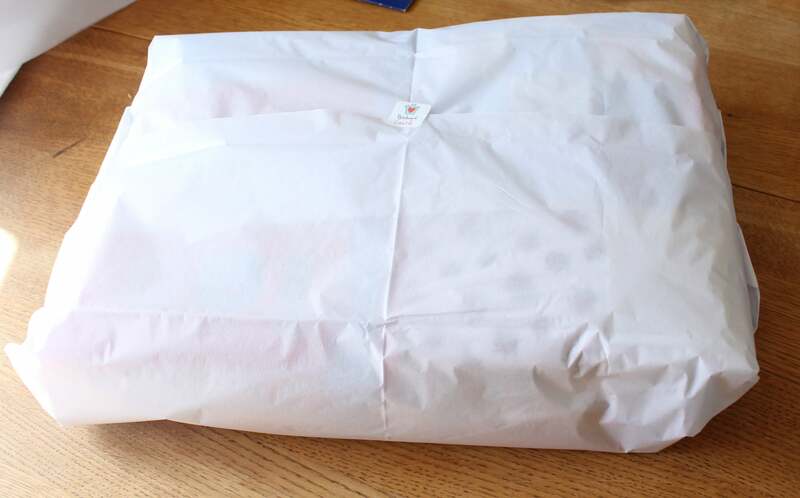 The other thing to note is that whilst I enjoy the challenge, it’s slightly unnerving to play ‘guess the customer’ so please mark your parcel clearly on the outside with your name! I thought long and hard when deciding which postal service we would use to return our finished memory quilts and cushions. There has been a lot of talk recently amoungst the crafty sellers community about increases in Royal Mail postal rates. Using alternative couriers and mail providers can be considerably cheaper for what looks like a very similar service. The cost of delivery is included in our prices, and so we could make a saving by switching. I think for items that are replaceable, say ready made quilts/cushions, I may look at this in the future. For items containing customers clothes I’m sticking with Royal Mail Special Delivery even though it costs a little more. …actually, it’s the tracking that is particularly important to me. I always insure each delivery up to the purchase value of the item, but actually I think what most people want is a good chance of recovering their parcel should it not make it to them! If a parcel really was lost then I would offer the customer a full refund but really there is no way to compensate for the loss of these very special item. I think using a postal service that gives the very best protection against that happening is the way to go. …again, this is really about confidence for both me and the customer that the parcel will be delivered safely. All our memory quilts and keepsake cushions are packaged in heavy duty plastic mailing bags. If I’m in any doubt about their security then I’ll double bag. We have not had any problems at all so far, either with parcels getting to us, or deliveries of finished items and we’ve mailed out a lot of memory quilts and keepsake cushions. Whilst there are no guarantees of course, I hope this will continue. I spend an anxious night every time I send a parcel and breathe more easily when I know it’s reached the customer. I dearly hope it never happens but if a delivery from us does goes missing we will do everything in our power to track it down. All significant remnants from each memory quilt or keepsake cushion are kept until you have confirmed receipt. This just gives a little bit of backup – sometimes this would let us recreate the lost item or at least a little something as an alternative. If we can’t recreate what you ordered then we will give you a full refund of the price you’ve paid. I do hope this post gives you a little peek behind the scenes and reassures you that we take the safe transport of your clothes very seriously! If you have any comments or feedback please do email us – we’d love to hear from you!